As we finish off with the last days of sunshine in Seattle, we fall into a new season and reflect on all the wonderful opportunities and help we've had this last summer. Thanks to our wonderful intern, Miriam Zuniga, from Whitman we were able to build further support for our clinical programs as well as a wonderful review on Every Row A Path, a local documentary looking at the life of migrant girls and young women who work in the Skagit Valley. Miriam is now back in school, finishing off her final year as an undergraduate and in the process of applying to graduate school. She will also serve as the president of BAM; a student-led advocacy group raising awareness on immigration issues. We are incredibly thankful for her help and look forward to see Miriam's professional development in the years to come. Teresita Barrera served as our program coordinator during the summer leading the helm of our forensic assessments program. We are incredibly grateful for her tremendous contribution to our organization during such a brief period of time. 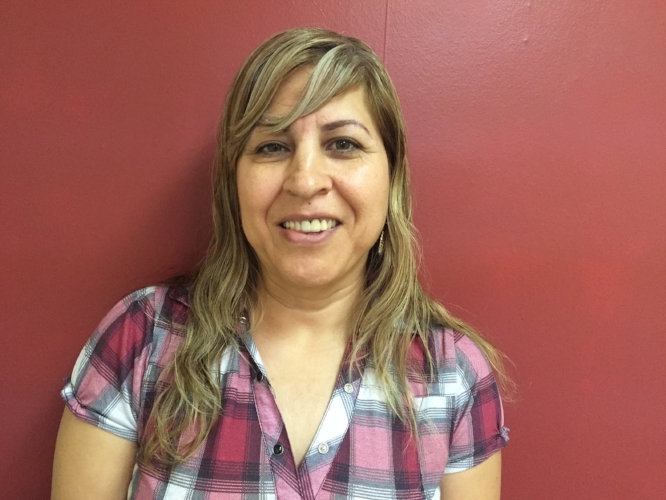 Teresita is now in her final year at Seattle University completing her Masters of Education in Counseling, specializing in Community Counseling. We look forward to seeing her work flourish in the community. Lastly, Tania G. Del Real supported us this summer also as a clinical intern. Thanks to Tania, we were able to assist more clients with their immigration cases and further our research on the mental health of families and individuals affected by immigration policies. Tania will be finishing off her last year at George Fox University in Oregon and applying to Ph. D programs in psychology. We will be cheering for her as she continues her research and clinical work. As for our new additions, Mackenzi Kingdon is our new Clinical Director and the catalyst behind our latest mental health initiatives like the opening of a Puentes 'clinic'. Melissa Galindo is coming on board as our year long, clinical intern from the UW School of Social Work, while Candelaria Maldonado is our new Program Coordinator and will additionally be part of our Mental Health Community Health Worker pilot training program in collaboration with Verdant Health Commission. Maria Lupe Jimenez will be supporting us as a mental health mobilizer as well as supervising many of our graduate interns. Our summer mental health mobilizer Keylee Hernandez, from Seattle U, will continue serving with us as she steps into her second year of her graduate program. With all that change, we've also welcomed a new space and made the transition to a fresh office located in Burien. We invite you to come tour our facilities and see our new workplace!